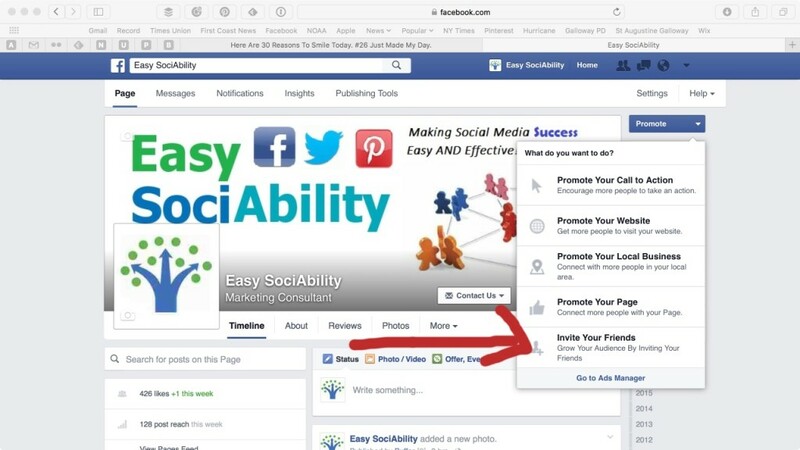 One of the ways to build your likes on Facebook is to ask your personal friends to like your business page. Even if you’re my client, this is something I cannot do for you, but here’s an easy step by step way to do this, complete with graphics! Step 1: Sign in as your business page by clicking on the little triangle on the right-hand side of your page. You’ll need to do this in reverse at the end of the steps, too. Step 2: Once you’re signed in, click on the little triangle next to promote page. You can also confirm that you’re signed in as your business by looking at the top of the page. Step 3: Click on invite your friends. 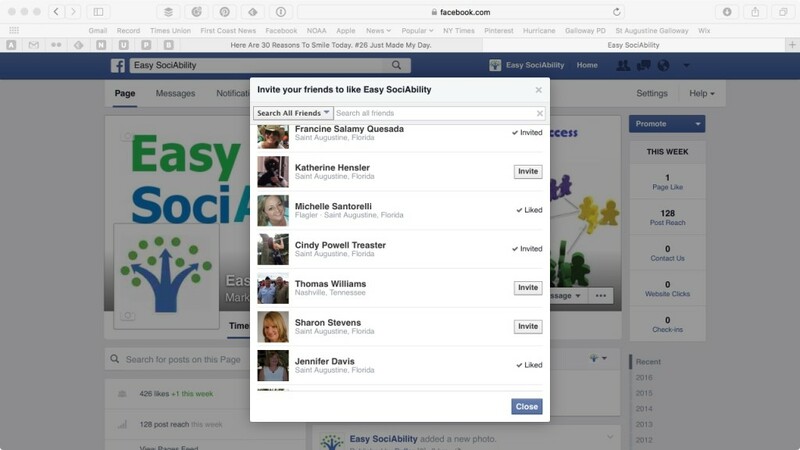 Step 4: Click on each friend that you’d like to invite. If you have a lot of friends, this might take you a while and there might be people you don’t want to invite, and that’s okay, too. 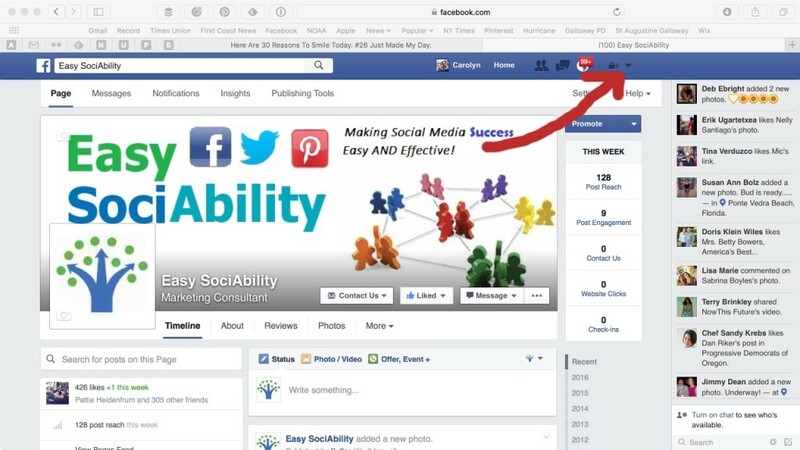 Doing this will very likely help you increase the number of quality likes on your page. 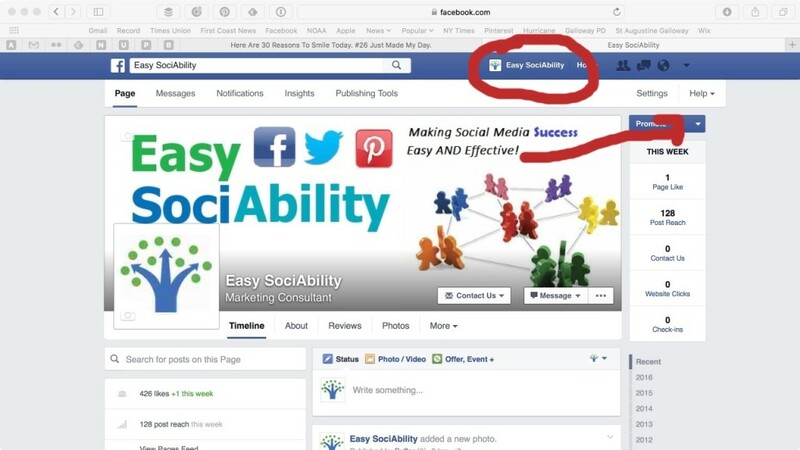 Important: Remember to reverse Step 1 to use Facebook as your page.